Acrylic on 100% cotton, 300gms Arches paper. Finished in archival satin varnish. 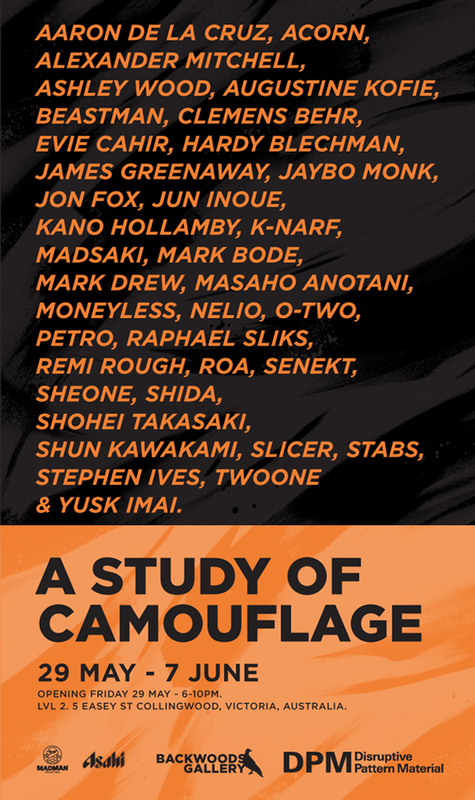 Backwoods Gallery proudly presents A Study Of Camouflage - a new show within the A Study of… exhibition series. This is the fourth exhibition in row in the long-term project consisting of annual shows that focus on different study subjects. After more than successful exhibitions A Study of Hands, A Study of Eyes and A Study of Hair, the new show is focusing on a completely different subject – camouflage. With this series of exhibitions, we are creating a vivid archive of works by renowned artists from around the world whose works intersect on the same subject-matter. 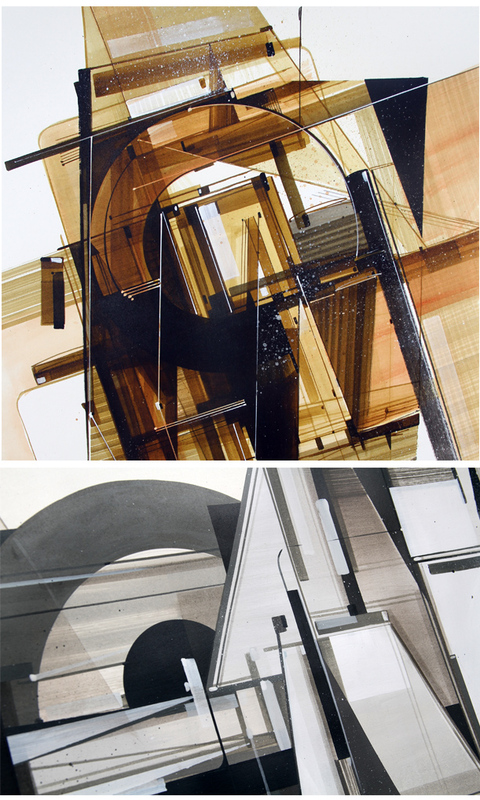 No matter the artistic style or technique used, a magnificent plurality of different approaches and representations of a single subject contextualises it, and places it in a dominant understanding of both the artists’ and audience’s views. Logically, this library becomes a diverse overview of different representations of a single subject, as seen and created by leading contemporary artists. A Study of Camouflage brings together some of the leading contemporary artists whose art, in some way, touches the subject of camouflage. In collaboration with DPM-Studio (Disruptive Pattern Material), our concept seeks to deconstruct the dominant perception of camouflage from its military driven narrative, and to bring back the camouflage patterns to its natural roots. Camouflage is usually linked with military uniforms and inherently with violence and rigorousness. However, camouflage patterns are much more than a simple military feature. Its different forms can be observed and understood as an artistic product, both in terms of aesthetics and conceptuality. Aesthetically, camouflage can assume different shapes and forms, creating beautiful design and art products, while conceptually, it may be detached from its military connotation, and transformed to different purposes depending on the given context. Always depending on artistic approach towards it, camouflage has enormous potentials for being a perfect medium for countless interpretations of contemporary society. The use of camouflage in art may lead to more abstract forms, while on the other hand it can serve as the perfect material for figurative and conceptual approaches as well. Each artist participating at A Study of Camouflage uses the concept of camouflage in different ways. The artists featured in the show are: Aaron de la Cruz, Acorn, Alexander Mitchell, Ashley Wood, Augustine Kofie, Beastman, Clemens Behr, Hardy Blechman, James Greenaway, Jaybo Monk, Jon Fox, Jun Inoue, Kano Hollamby, K-narf, Madsaki, Mark Bode, Mark Drew, Masaho Anotani, MoneyLess, Nelio, O-Two, Petro, Raphael Sliks, Remi Rough, ROA, Senekt, SheOne, Shida, Shohei Takasaki, Shun Kawakami, Slicer, Stabs, Stephen Ives, TwoOne and Yusk Imai. Email sales@backwoodsgallery.com for the exhibition catalogue.